Brewed, bottled and labelled by hand the ultimate craft beer. Real Ale… in a bottle! (All our beers are bottled conditioned in the traditional way). 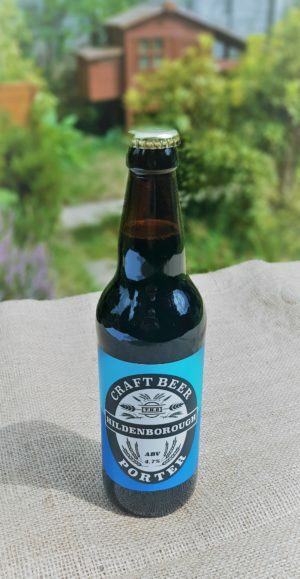 The Hildenborough Brewery Ltd offers fresh premium handmade Real Ale craft beer in 500ml bottles direct to your home. We also offer unique gifts such as our beer in vintage style crates and personalised labels. We are a small family run home business and possibly the smallest registered brewery in the uk. We have a passion for fine craft beers, all of our “Mashes” are 100% all grain we never add any sugar or malt extract. Our Hops are Fresh Whole Leaf Hops we never add any Hop Extracts / Hop additives. All our ingredients are weighed and added by hand. Our water is added to the Mash Tun and stirred by hand. Temperature and PH measurements are taken my hand. Our beer is stirred during the boil by hand, our platinum silicone food grade transfer hoses are coupled and decoupled by hand. Every single bottle is bottled by hand even the labels are applied by hand! We believe this all adds up to a very special unique Craft Beer product. All our beer is fermented in air tight, water cooled, food grade stainless steel conical fermenters and we have a 5 star health rating. We are possibly the smallest registered Craft Beer Brewery in the UK and proud of it! We are hoping for local feedback and engagement with an aim to make our beers tailor made for the local community. Golden Ale, a new style of pale ale, well hopped and quenching beer. Juicy malt and biscuity character underscored by fruity aroma from the Cascade and highly sought after Citra Hops. Golden Lite, the same base malts as our Golden Ale but less ABV and a different hop profile; more mellow aroma from the Cascade and highly sought after Citra Hops and an interesting twist from Rakau. 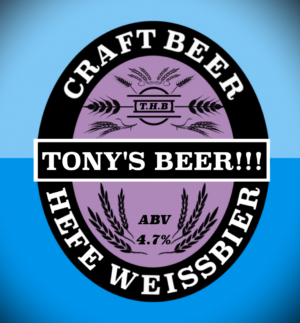 Wheat Beer, a mouth-watering German beer classic with an English touch. A must try for people unfamiliar with the style. Hopped with Mt. Hood, Select Spalt and Perle. APA, clean crisp, tonnes of hop aromas from Magnum, Perle, Azacca and Cascade. We would really appreciate any feedback on our products via info@hildenboroughbrewery.com or Facebook @hildenbrew as we aim to tailor our beers for the local market thank you.